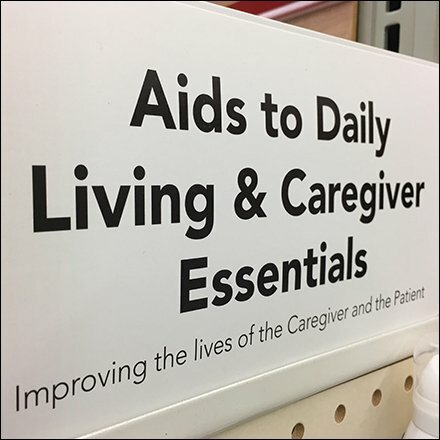 Caregiver Aid Category Definition by PowerWing focuses attention on these aids and essentials. The PowerWing both adds visibility and defines the limits of offerings. Look close to see that the defining masthead header is Wing Nut mounted. Items range from cleaning to mobility aids. Consider this Caregiver Aid Category Definition by PowerWing from all angles in the gallery of images.